Architectural Window Systems was ranked 4th in the Top 100 Trusted Brands in architecture and design! The results came after the online audiences of Architecture & Design and Indesign cast votes for their favourite brands by allocating a maximum of 10 votes to 10 different nominated brands between 26 September and 2 November 2018. Companies offering products or services were nominated for recognition of their innovation, application, or quality in one of 30 categories. Trusted Brands is an industry benchmarking tool for assisting Australian businesses and individuals in making more informed purchasing decisions. In a commercial context, Trust is a particularly powerful influence and decision-making enabler. 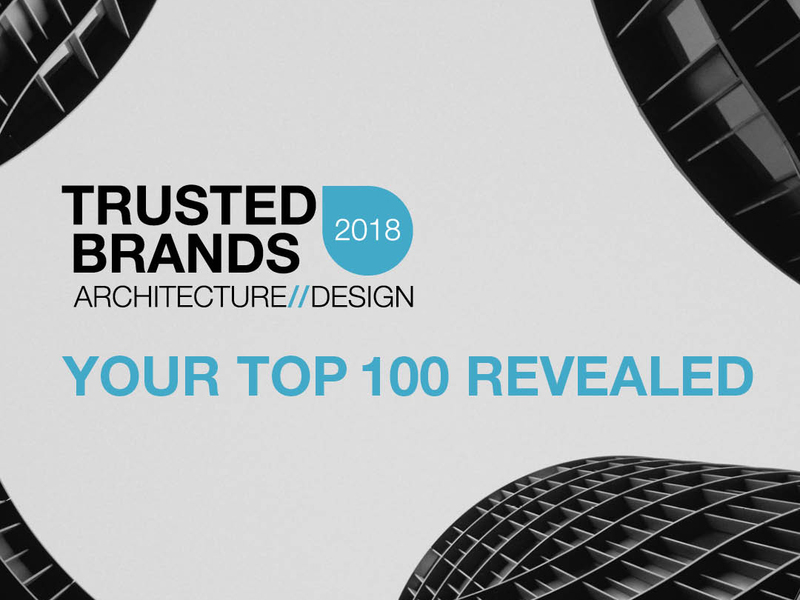 Since its establishment in 2012, the Trusted Brands Survey has asked industry professionals to nominate their pick of the best brands within the Architecture and Design space. In doing, it provides the foremost national showcase of the most reliable and trusted suppliers within the Australian commercial market. Architectural Window Systems (AWS), is one of Australia's leading suppliers of aluminium window and door systems offering an extensive range of locally designed suites for residential and commercial applications. AWS designs, tests, finishes and supplies aluminium window and door systems to more than 170 licensed manufacturers throughout Australia. AWS supplies the Vantage, Elevate, ThermalHEART, ANDO, ICON and MIRO ranges of aluminium windows, doors and hardware.